We offer Laminar Flow Cabinets that are designed as per the technical details furnished by the client as well as industrial requirements. 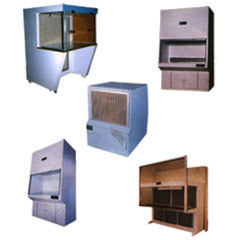 These Laminar Flow Cabinets are widely used for research purposes and are also made using premium quality materials. 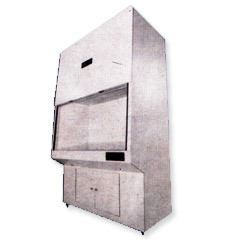 These Laminar Flow Cabinets function efficiently and provide high accuracy results. These equipment are also easily affordable. 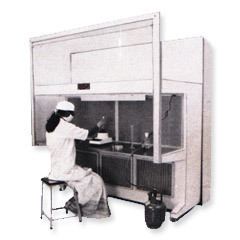 These flow cabinets are used in general labs for testing purpose. These cabinets is designed to fulfill stringent regulations. Our most advanced cabinet. Our laminar air flow systems are designed and developed for applications in operating rooms and theaters. It helps in filtration of particles and other contaminants from air. Our laminar air flow systems can efficiently filter dust particles up to 0.3 microns and also eliminate microorganisms by killing them during the filtration process. Looking for Laminar Flow Cabinets ?